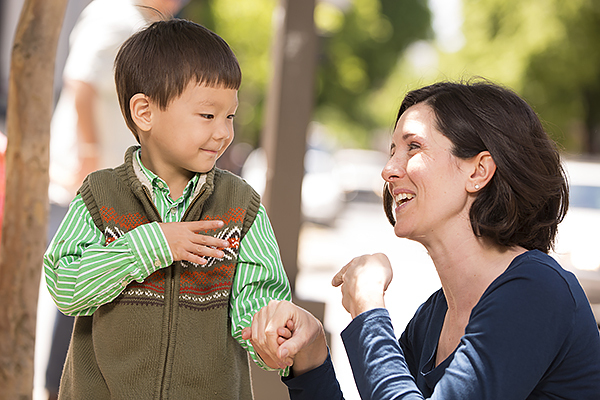 Like hearing children, typical first language learners who are Deaf and hard of hearing acquire language because they receive sufficient access to spoken language and/or signed language in their families and from the community around them. In addition, they develop identity and a sense of belonging in their hearing or Deaf families, their communities, and the society at large. With the cultural awareness and knowledge of the world that language accessibility brings, they will have the potential to develop literacy skills equal to those of their hearing peers. For students who access spoken language, even a mild hearing loss can create language inconsistencies that negatively affect literacy development. Due to this, students accessing spoken language can benefit from speech language pathologists who understand the connection between phonological awareness and literacy, recognize how the hearing loss can impact language assessments, and can develop strategies to compensate for lack of full phonological access to spoken language. With phonological awareness considered one of the most important criteria for literacy development, signing students can benefit from teachers who understand the implications of learning to read and write a written system based on a phonology (sound combinations) signing students cannot access. With this understanding, teachers can apply appropriate strategies. Once the learning environment responds to the auditory needs of students who use spoken language and the visual need of those who use signed language, students who are Deaf and hard of hearing too can experience an accessible education.